Thanks for being here. I write about Astonishing Secrets, my muses, and now doing a Dental Discussion... what is next? Follow, and you will see. Dental xrays are something that if we went to a dentist ourselves complaining of a sore tooth, we would take it for granted our dentist would take the opportunity to take radiographs. But it is not the case in many veterinary hospitals who see pets with sore teeth. Now, I am not saying that those veterinarians who do not do dental xrays and extract infected teeth are doing the wrong thing. Removing obvious pain and pus is never wrong. 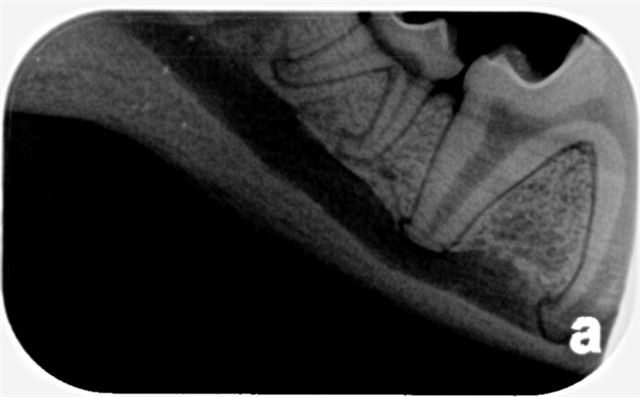 But what I am saying is that it is possible (and more likely than not) that they are missing alot of disease simply because they do not have all of the information - how could they when 2/3rds of the tooth is under the gum, and that is the part that they cannot see without xrays. And before 2005, I was one of them. I thought I was doing the right thing too. Until I reviewed what was Best Practice in Veterinary Dentistry, and realised that diagnostic dental radiographs was part of it. 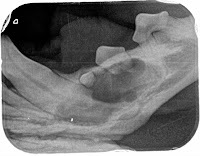 At Russell Vale Animal Clinic, we started taking dental xrays in 2005... using normal film, and developing using chemical developer and fixer. We upgraded to digital in 2009. Even though we were the smallest vet hospital in Wollongong, we were one of the first to adopt digital radiographs in the 'Gong, and the only to adopt digital dental radiographs (and one of four at the time in NSW - to my surprise, when I found out several years later). In the US, dental xrays is a standard... in Australia, it is just a recommendation. But stupid me... Dr Liz, who believes in a high standard, skipped over the recommendation part, assumed it to be best practice, therefore, we had to find a way to afford it, and provide it. Our animals deserved no less. Sadly, it is my determination to practice to a high standard, that works against us. How? 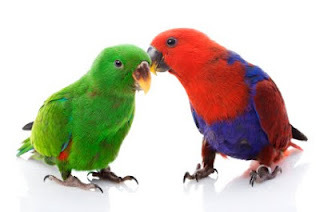 Well, you, as a loving pet owner, perhaps visiting another veterinary hospital, to be told your pet needs a dental - you ring around for a price, but we can't compete. We don't provide the same dental service as they do, nor for the same price, for obvious reasons. It isn't about the money, but ensuring that all disease is identified and treated as soon as possible. But let me go on to the exciting things I have found (and have been able to fix and prevent ongoing pain ) in my pets. And the end of the day, it is all about removing pain from my pets, so they can go on in their lives and be happy. Diseases do not excite me.... getting rid of them, and making sure they never come back to hurt the animals they affect, does. 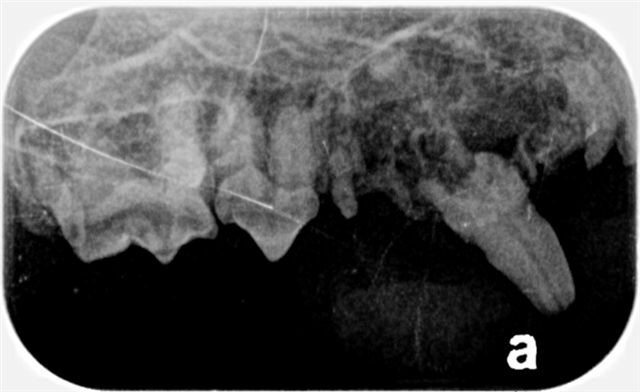 All of these radiographs are from my own case files, and I have deliberately removed the pet and owner details. All pet owners receive copies of their pet's dental radiographs as we believe strongly that pet owners are the best advocates for their pet's welfare. And they can only do this with information. 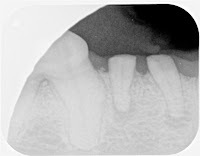 Dentigerous cysts: a bone eating cyst that forms as a result of an unerupted tooth. Seeing a three rooted tooth which should normally be a two rooted tooth, such as this one in a cat. I could go on and on and on, but I am sure by now you get the gist of how important it is that you choose a vet that is able to take dental radiographs if they need to, to be able to identify all areas of disease in your pets mouth, and then deal with it. 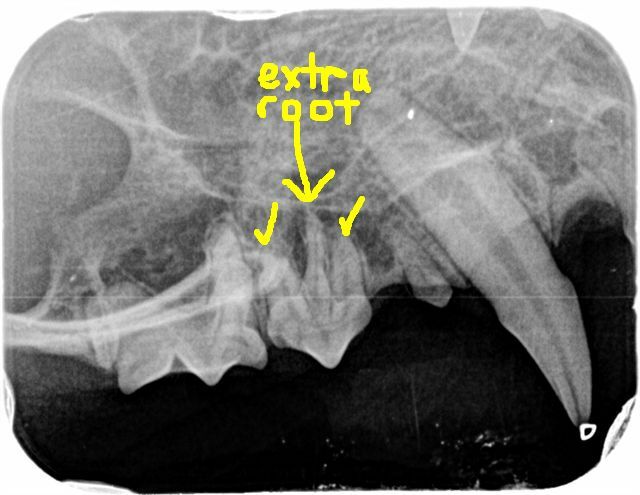 Russell Vale Animal Clinic has had dental radiograph capabilities since 2005, and digital intra-oral radiographs since 2009. If we need to, we can email our radiographs quickly to dental specialists for an extra opinion. Any questions, sing out.... let me know, either here or via email. It's Dr Liz again, and after my Astonishing Secrets, and Muses, I am starting a new series about one of my favourite topics. You think it is just about teeth , and dental stuff, but really, it is going to be about how to keep our pets as healthy and happy as we can, and how to turn older pets back into puppies and kittens again. And that involves keeping their mouths as healthy as we can. Dr Dean and Dr Doc are going to be the faces of Dr Liz's Dental Discussion. 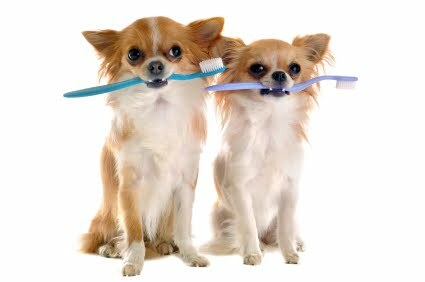 They are two gorgeous little ones, with the most important thing you need to keep your pet's mouth healthy - the handy toothbrush. I just love getting the phone call the day after a pet has had their sore mouth fixed up, to be told that they are back to being like a young'un again. at the base of this tooth"
But this series isn't just about sore teeth, or the hard stuff sitting on the tooth, or even about how to keep teeth healthy... it is also going to challenge some much loved belief on how to keep mouths healthy. I never ever forget that they belong to a much loved family pet and patient of mine. All that I do is directed towards keeping my animalclinic family as happy, and healthy as I can... always. 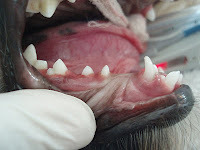 Also remember as you read, that every pet's mouth I have ever examined is unique - and what might be OK for one pet, might not be OK for another... this is why a vet's judgement is needed to assess each case on a case by case basis. Even the vet dental specialists will tell you that. Finally, as you read all of this... I am not an animal dentist, but I have a particular interest in practicing a high standard of care for many things, and this includes dentistry. And, it is a discussion. 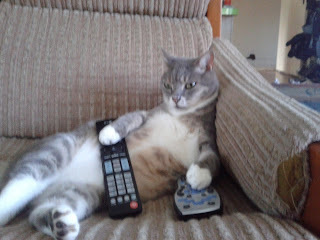 I am not good at one way conversations, I prefer to work with people to do what is possible to keep their pet healthy. Thanks for reading, and being part of the bellambivets blog. your entire family. Are you ready for a (true) story? Just Imagine the following scenario. You are sitting on the lounge, with a drink in your hand. On one side lies your beloved cat, Leonard… all curled up. On the other side lies your dog Sheldon. And then, in walks your wife. In her hand is a pencil like thing, and when you get up to have a look at it, it has two bars on it… one purple, one blue. Whilst your head starts to comprehend what it means, you notice the open box of pregnancy tests on the table. You look at your wife, you look at your pets, and then you look at the door. But you aren’t looking at the door because you want to run through it, but to wish the pets outside. The need to protect your pregnant wife and your unborn family has just kicked in. Images go through your brain of how pets can make your unborn child sick, from going blind, to deaf to other congenital abnormalities. 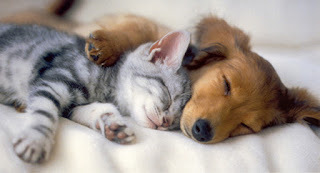 All vets are dedicated to the health of all animals, as we know by keeping our pets healthy, we keep us all healthy too. It is not uncommon for parents- to - be to ring up their vet to ask questions about their pets, especially after they have been given (mis) information by their own doctor. Did you know that you could get worms from lying on the grass? Did you know that 30% of kids eat soil, sand and grass, a behavior known as pica? Did you know that these are the ways our kids, as well as us, can get infected by the worms that our pets may carry? Did you know that a puppy infected with only 20 roundworms (which is not a lot of worms) can layover 500 000 eggs in the environment in one week. What do you need to do to protect your family? 1. Go to your pet’s health record, and to where you store all of your pet’s medications. 3. Get a sheet of paper and write down everything that you have and what it does. For example – Advantage for cats – does fleas and lice. 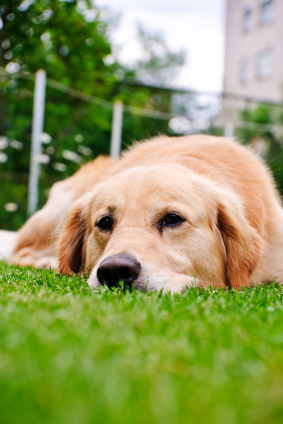 Use the following information to make sure your pet’s preventative program is all sorted. If in any doubt, your local vet will always help you. Preventative care for your pet is the best way of protecting your human family, so Leonard and Sheldon (or whatever your pet’s name’s are, can still stay sleeping on the lounge whilst you watch TV). Your worming medication should cover Roundworm, Hookworm, Whipworm, Flea Tapeworm and Hydatid Tapeworm. Your vet can provide the best Heartworm prevention through a once a year injection, so take advantage of that. Your flea control should cover fleas and lice, (animals can be short term carriers of head lice, so I like to treat them too). things are done to keep them (and your family) healthy. Your worming medication should cover roundworm, hookworm and tapeworm. Your flea control should cover fleas, lice and mites. Your vet can provide the best advice on how often and what you should use to keep your pet worm and flea free, as we have seen what products do and don’t work. It is our daily work. Now onto Ringworm. Unfortunately, Ringworm is not a worm, but a fungal infection and Toxoplasmosis is a protozoan disease, both of which we can’t worm against. 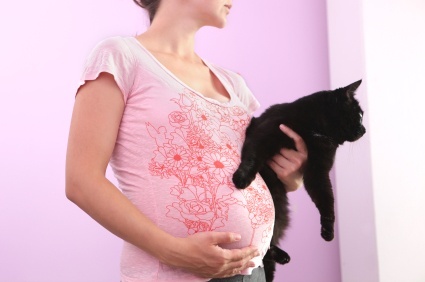 These two types of infections are the most common reason why new mums are often scared of their cats. Cat’s can be carriers of Ringworm, and Fungal cultures are needed to check, but most kids are infected from the class mates or from playing in the dirt. Toxoplasmosis is the scary one, but as a mother of four, who has worked with cats, I am still Toxoplasmosis negative, so it really isn’t an easy infection to get. But to protect yourself and your family against Toxoplasmosis and intestinal worms, especially if you are pregnant, follow these guidelines. · Rinse all fruit and vegetables prior to eating. Leonard and Sheldon... we are happy to be part of a family. Your pet loves to be part of your family. Go give your family a hug! Families are fun, and they are more fun if you have pets. Don't think about preventative care of your pet as "alot of money", but think of it is an investment in the long life and health of yourself, your children, your family as well as your family pet. 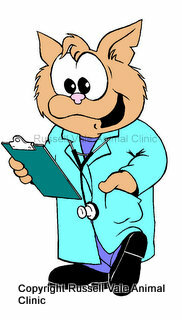 I am Dr Liz, and I am a vet at Russell Vale Animal Clinic. We love animals, and we are here to help. 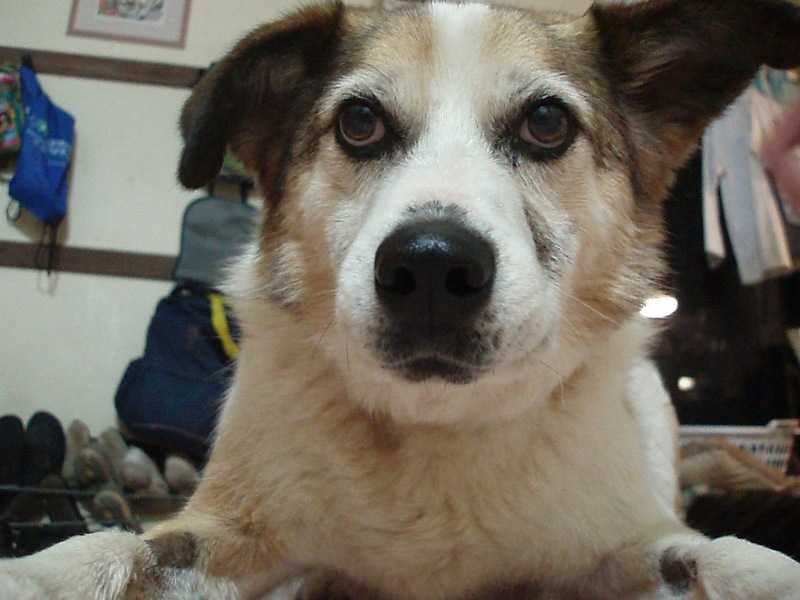 The Musings of Dr Liz - Is owning a pet a privilege or a right? Welcome to another of the musings of Dr Liz. What do you think about pet ownership? Is it a privilege or a right? I hear a few of you saying that we have the right to have a pet. So lets look at "a right" and "a privilege" in the way that I look at them. I often find that people who feel they have a "right" to something, often take these things for granted. In Australia, we take "democracy" and "freedom of speech" as a right, not respecting the fragility of these concepts. In my view, those who believe in the "right" of pet ownership, may show a lack of true care and respect of their pet. If the object is a "privilege", it is something that we will treasure. It is something earned through hard work, either by ourselves or by our forefathers (if it is something such as democracy). It is something that has value, and it needs to be protected. In my view, a pet is a privilege - we are the lucky ones in that our pets have opened up their hearts to accept us, flaws and all. A pet is a privilege, and one which we should always treasure. We should protect all animals.... as they protect us.